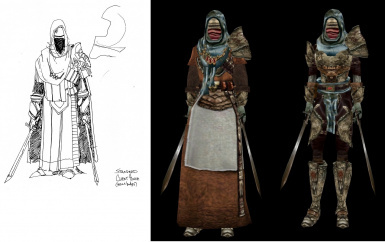 Adds two types of armor and one robe. Also a small quest. Fixed journal entry causing journal not to update, which is important for quest progression. 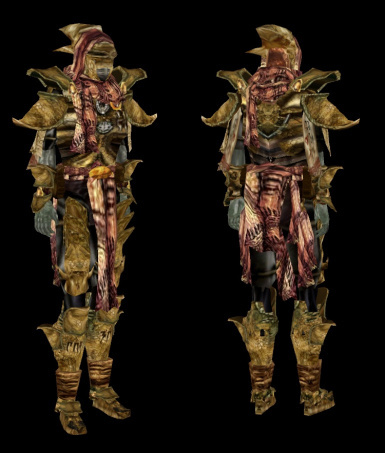 This mod adds two types of armor to Morrowind. There is a short quest for one of the armors. The other can be purchased at the Foreign Quarter Plaza in Vivec. Read Me has more details. Updated to 1.1 Fixed journal entry not updated along with quest. Please download new file.